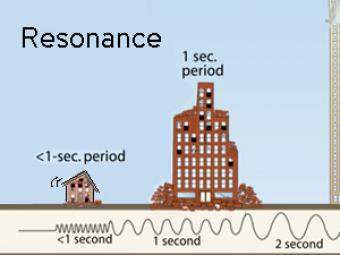 All buildings have a natural period, or resonance, which is the number of seconds it takes for the building to naturally vibrate back and forth. The ground also has a specific resonant frequency. 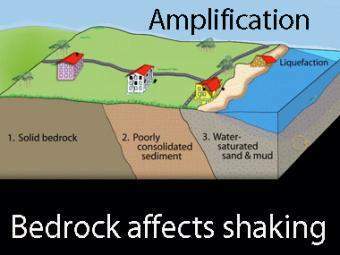 Hard bedrock has higher frequencies softer sediments. 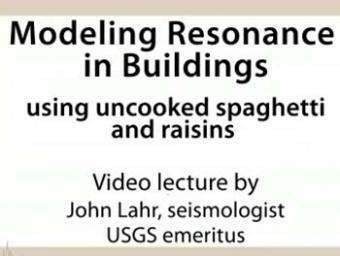 If the period of ground motion matches the natural resonance of a building, it will undergo the largest oscillations possible and suffer the greatest damage. 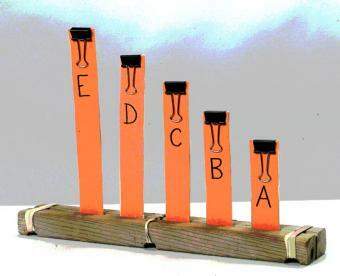 A classroom demonstration follows the animated portion of this video clip. What are the key features addressed in this animation? Resonant frequency of any given system is the frequency at which the maximum-amplitude oscillation occurs. 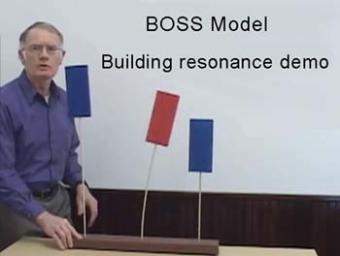 All buildings have a natural period, or resonance, which is the number of seconds it takes for the building to naturally vibrate back and forth. 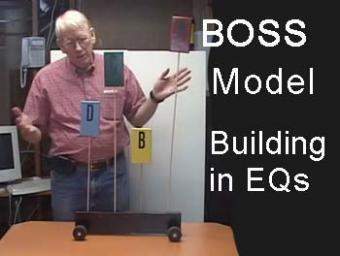 The BOSS model is an effective way to show how buildings of different heights respond to seismic waves. All buildings have a natural frequency. 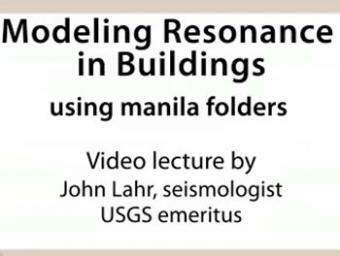 John Lahr, US Geological Survey Seismologist, demonstrating a cheap and kid-friendly version of the BOSS model that shows how buildings of different height oscillate during earthquake shaking.